Indoor booth set-up at Unique LA 2017. 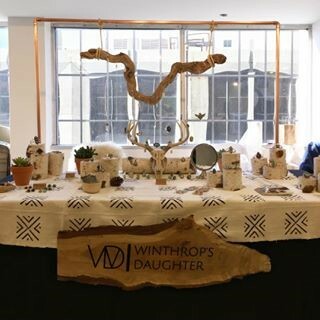 Display in the lovely natural light at Renegade LA 2017. Using natural objects to display pieces.